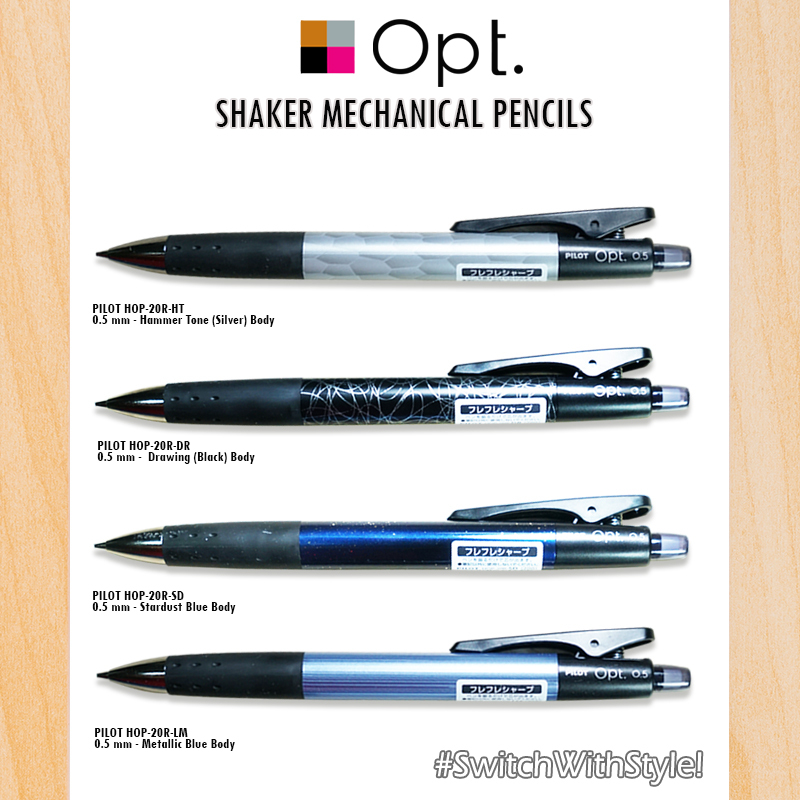 Pilot Opt Shaker Mechanical Pencils | Cosmos Bazar Inc.
Time to #SwitchWithStyle with Pilot OPT Shaker Mechanical Pencils! Express yourself with stylish and unique body patterns. With superb Shaker mechanism that easily extends the lead. 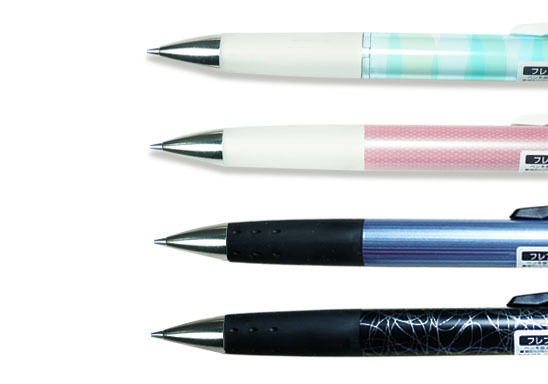 Balanced weight and rubberized grip ensures comfortable writing. 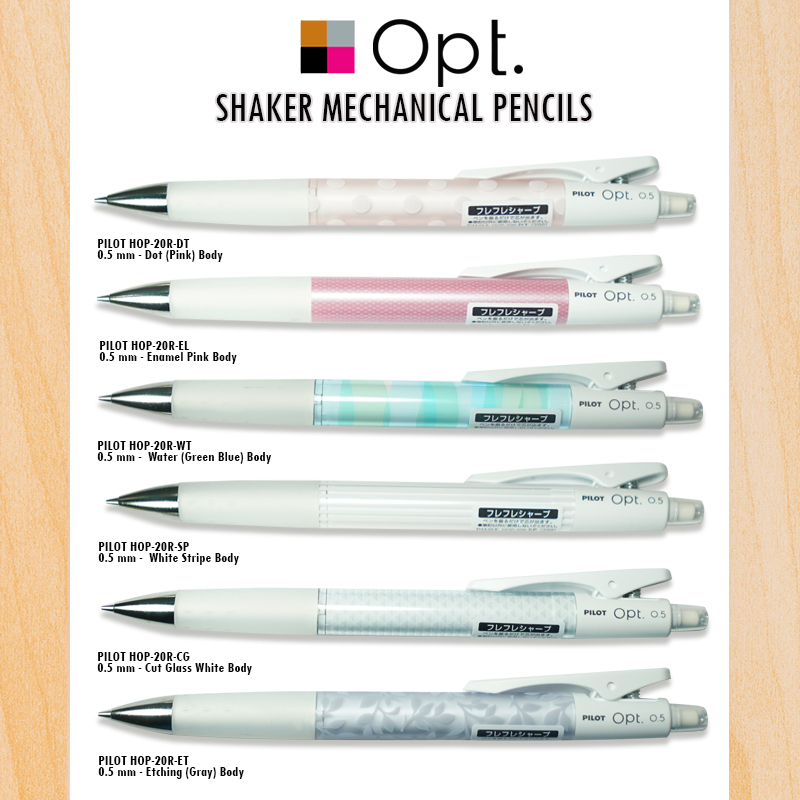 Also features a sturdy spring-loaded clip that secures the pencil to your notebook, pocket, or bag that can last upto 100,000 times without breaking. Make the Switch with Shaker today!